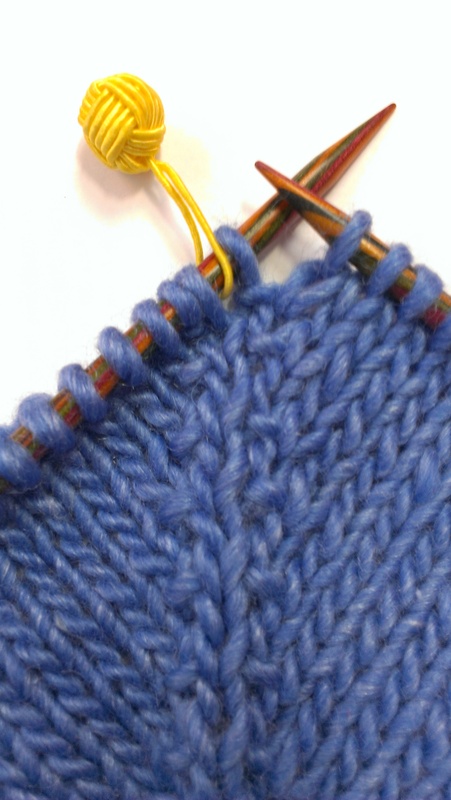 I love this treadling variation. (4,3,2,1,4,1,2,3) I may do the 4th towel with it rather than the 4th variation included in the book. (4,3,4,2,1,2) I want to finish by tomorrow morning for my guild study group meeting. I have caused myself a time crunch because I spent some unweaving time yesterday. I had made 2 treadling errors in towel #2 and contemplated keeping that towel for myself and leaving the mistakes in. But, I decided to heed my own advice, I would rather keep a towel that didn’t have a mistake, so bit the bullet and unwove. 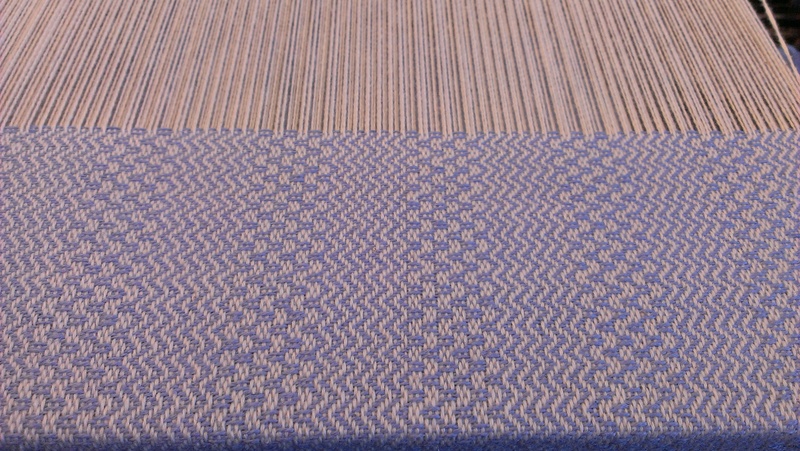 I wasted time over the weekend not weaving most of Saturday and all of Sunday because I couldn’t make myself go on with the mistake in, and I didn’t want to unweave. It only took me about 20 minutes to unweave the 4 or 5 inches yesterday and much less than that to reweave. I should have done it right away. The towels would be finished by now if I had. 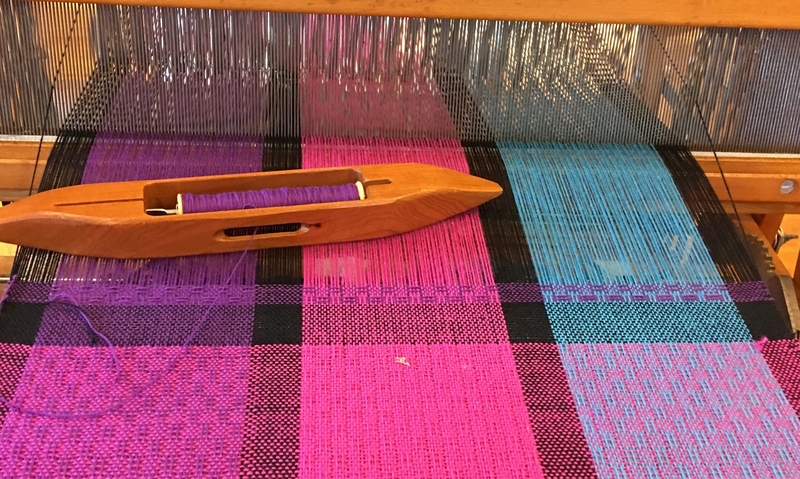 I need to leave to teach a rigid heddle class soon at the LYS and that will cut into my weaving time tonight. Its a good thing I get up early with my son in the morning. Hopefully I can push through and finish then before I need to leave at 9:30. I used fusible thread in my hems, so a quick iron on the ends and I can take the cloth along to study group with out fear. Washing, cutting apart and hemming of the towels can wait until after the meeting. I was there this morning teaching a knitting class. I love my knitting classes. It is so gratifying to see how successful people feel the first time they use increases and decreases to make something shaped like a hat in the round, rather than a rectangle or square. 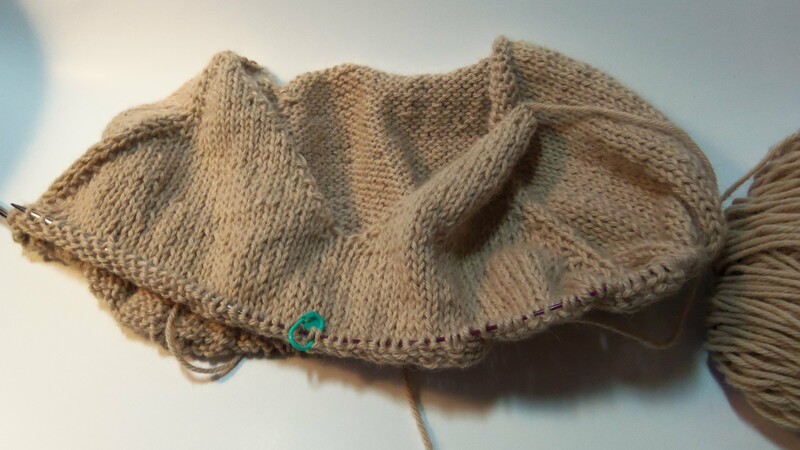 Many people knit for years without going beyond the rectangle. 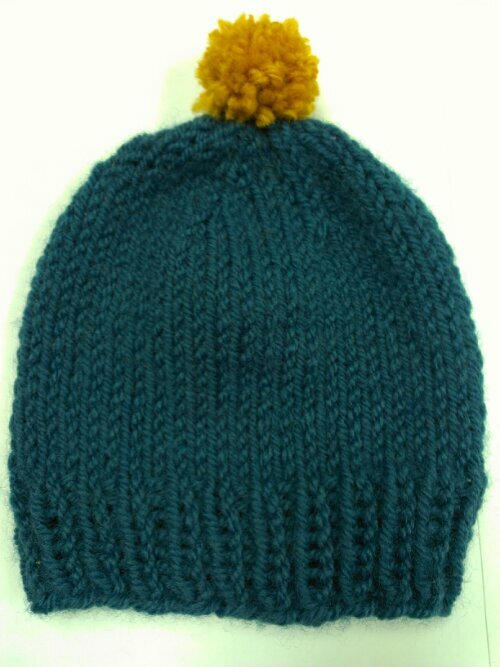 In my hat class not only do they use shaping, but they learn to knit on a circular needle and a set of 4 double pointed needles. Such a simple project that creates skill and confidence when they complete it. 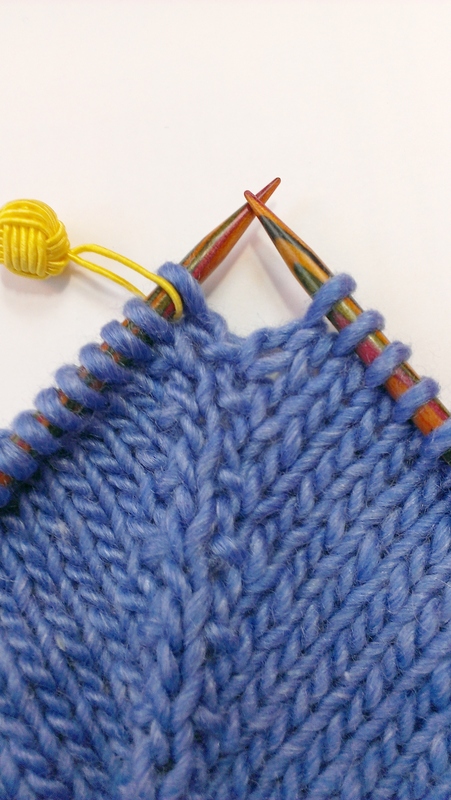 Everyone in the class wants to make a sweater now, so that will start in two weeks!